Halloween has always been one of my favorite holidays.!! As a child, I loved getting dressed up and going around the neighborhood collecting candy. Usually, I went with my siblings and cousins. At the end of the evening, we would pour out all the candy on the floor and negotiate candy exchanges.!! It was fantastic.! I would collect as many of my favorite candy bars as I could.!! As an adult, I loved getting dressed up and going to costume parties with my friends.! I am always fascinated by people’s choices because I think it says volumes about them.!! Including the fact that for almost a decade, one of my brothers went as a pirate because he was too lazy or uninspired to come up with a new idea.! hahaha… Some of my favorite past Halloween costumes include a Starbucks barista, a 1920s flapper, and a witch.!! 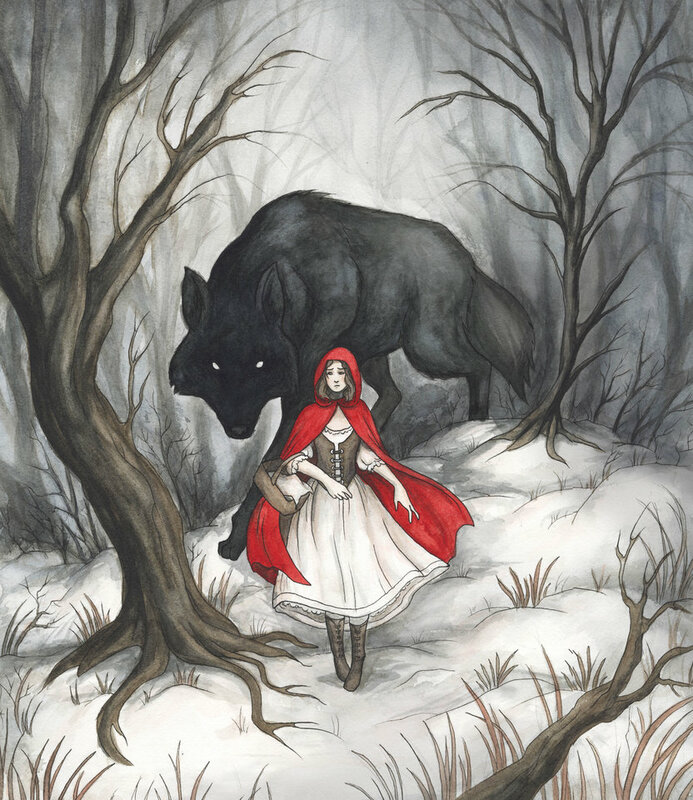 I’m still hoping to be little red riding hood one day 🙂 But I need someone to play the big, bad wolf.!! lol… Maybe next year.! 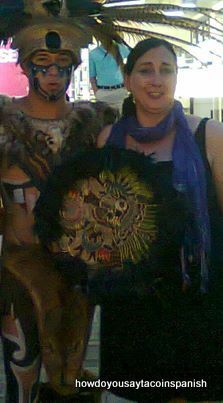 However, when I moved to Mexico, I became enamoured with the Mexican celebration of Dia de los Muertos or Day of the Dead. Despite, its rather gloomy sounding name, Dia de los Muertos is a joyful celebration.! Family members and friends gather with food and drink to remember, honor, and pray for their deceased loved ones. Basically, they invite the deceased back into their lives for an annual visit. The holiday is celebrated October 31, November 1st, and November 2nd and is tied to the Christian traditions of All Hallow’s Eve, All Saint’s Day, and All Soul’s Day. However, it also has origins dating back to the Aztecs and their worship of the goddess Mictacacihuatl or the Lady of the Dead. 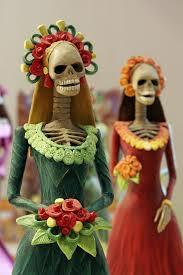 Modern Catrina dolls symbolize the Lady of the Dead. Special foods beloved by the deceased, sugar skulls, and marigolds are placed on makeshift altars in homes and cemetaries to entice the spirits of the dead to return.! Typically, October 31st, honors infants and children, and is called Dia de los Inocentes or the Day of Innocents. 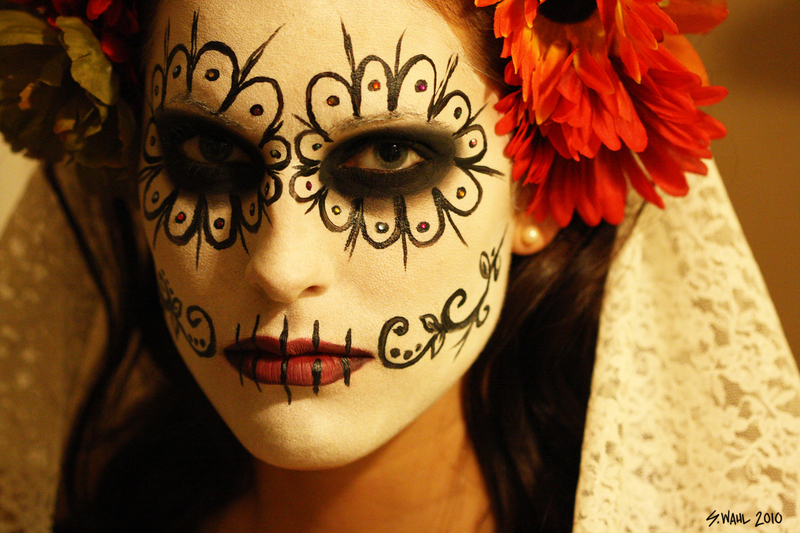 While, November 1st, honors adults and is referred to as Dia de los Muertos. 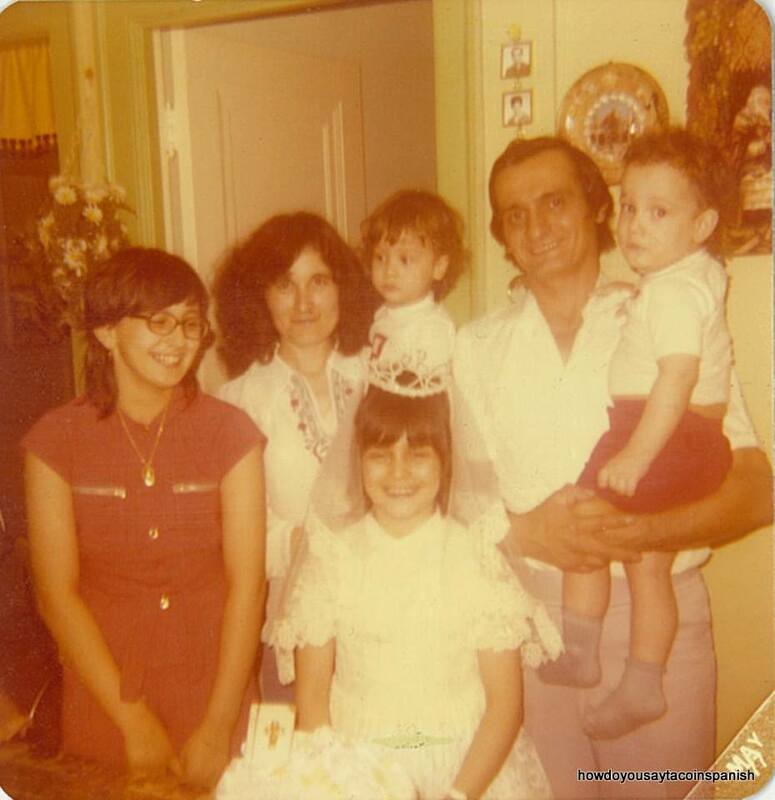 I believe the reason this holiday struck a chord with me is because I have lost my mother and my brother. 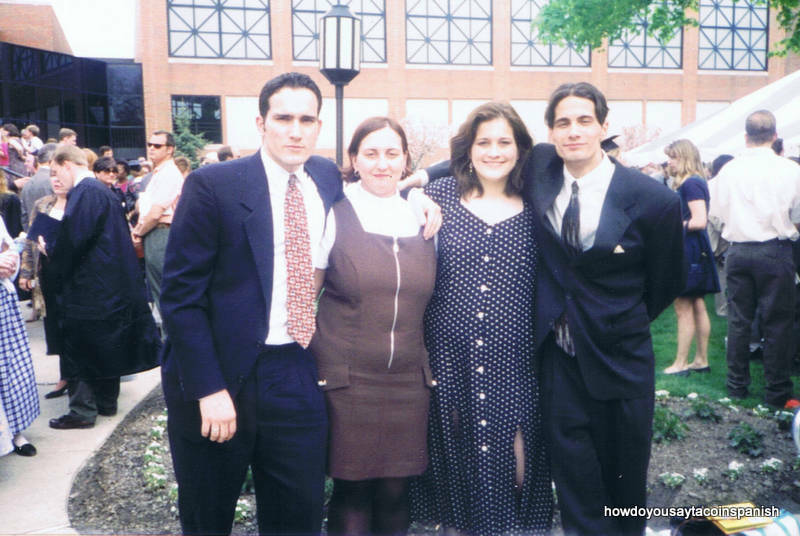 When my brother passed away 15 years ago, it was such a traumatic experience for my family. In the beginning, we used to buy him presents for Christmas and his birthday and leave them at the cemetary. We would also bring him a slice of birthday cake. It’s not like we baked a whole cake for him. My brothers were twins so we were making one anyway. It was easy just to bring a piece to his gravesite too. I had several errands to take care of during my visit to Mexico. Plus visiting with my friends was a huge priority 🙂 Last we spoke, P. and I had a great time at Zenzi drinking micheladas and catching up. The next morning we met at Starbucks for coffee (see photo above). We look extremely happy but most definitely like two women who had a few micheladas the night before.!! But oh what fun.!! After coffee, P. and I spent most of the day meeting with attorneys. She was there to assist me in case I needed translation help. I know what you are thinking at this point – why in the world would you need an attorney Rose.?? Well, this time, it wasn’t for my immigration visa. It was for a wayward roommate. I promise to tell all in my blog post next week called – strange bedfellows.!! But for now, let’s just say, P. and I spent a whole day listening to one attorney after another talk about the ramifications of my case. Can you say me duele mi cabeza.!! So the next day when I woke up, I decided a trip to Cozumel was in order to reground my center. Plus I wanted to see my good friend Bubba – you know him from the blog post o rico..!! However, the ferry schedule had changed since I was last in Playa so I had a whole hour and a half to kill before the ferry departed. Hmmmmm….so what’s a girl to do..??? Well get a massage of course.!! One of the many things I loved about living in Playa del Carmen was how inexpensive it was to get a massage. One hour massages range anywhere from $20 USD to $40 USD per hour.!! Yes, I typed that right and you read it correctly.!! In Chicago, a decent one hour massage will empty your wallet anywhere from $80 to $110.!! So, since I am kinda addicted to massages, you can see why I loved living in Playa 🙂 So that’s what I did – on the beach for one hour.!! Can we say glorious.?!! After that I was woozy in all the right places and relaxed everywhere else. Plus, more importantly, I was calmer. After my amazing massage, I set off on the ferry to Cozumel. 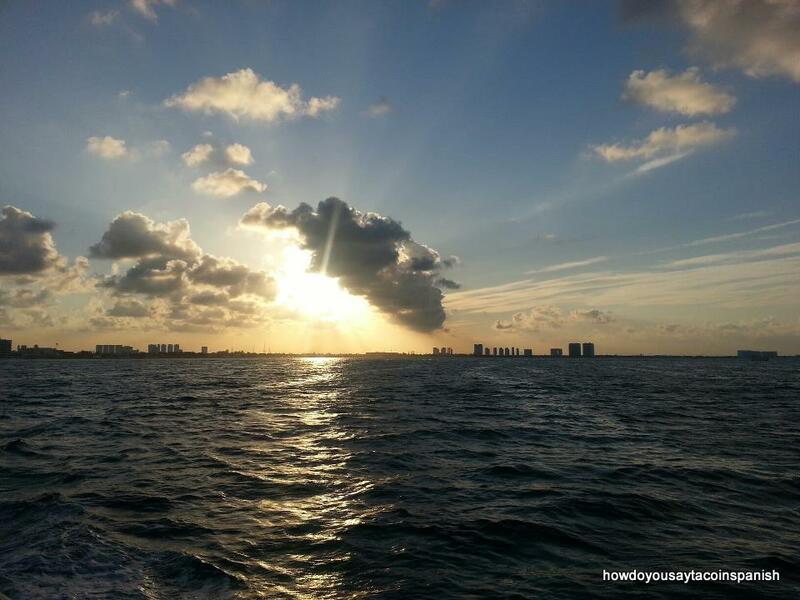 I love being on the water and in the water. Even being on the ferry surrounded by strangers gives me a feeling of peace. I usually read or daydream. However, there is just one problem with my way of thinking. Not everyone feels this way about being on the water. And the ferry to Cozumel happens to be one of the most harrowing sea journeys ever.!! Yes, you read that right.! Yes, I know it’s only a 45 minute trip. Yes, I know it’s between a barrier island and the mainland. But trust me when I say more vomit bags are given out on that trip than any other boat excursion I have endured. I don’t know if it’s the type of ferry that is used that causes all the egregious rocking back and forth.?! I don’t know if it’s all the drinking that the tourists partake in that causes all the heaving.!? Or a combination of both, but there is much nausea experienced on that ferry ride. I learned quickly to sit on the main floor in the middle of the boat. It rocks the least for starters. And secondly, all the people who tend to vomit usually sit upstairs or outside. And while, I do not get motion sickness, I will puke at the sight, smell, or sound of others vomiting. It’s like yawning for me.!! So I need to be awaaaayy from all of that noise.!! Needless, to say, the peace I long for on the ferry doesn’t last very long. Luckily for me, neither does the trip.!! My friend Bubba met me at the ferry terminal and we took a taxi to his old apartment. He had to meet the landlord to do a walk through, so I accompanied him on his errand. 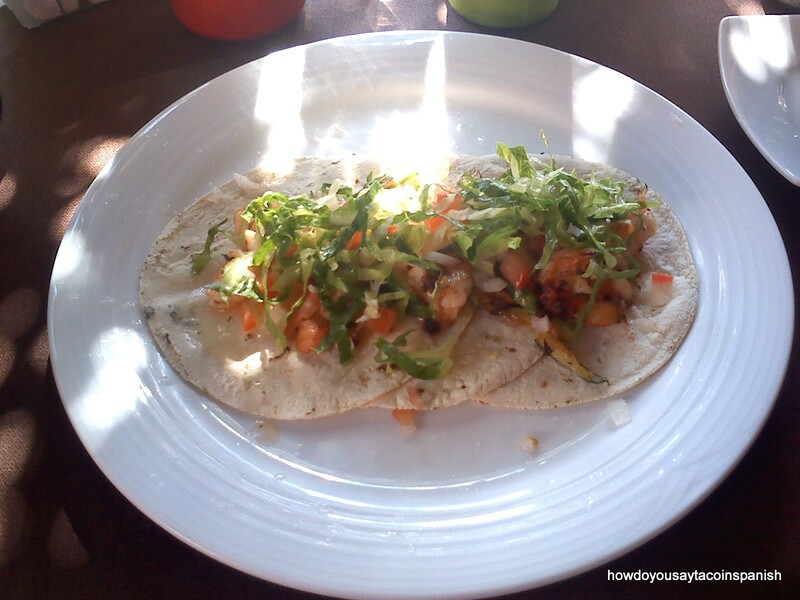 Then we went to my favorite place to eat on the island – Indio’s – and we had some dinner. 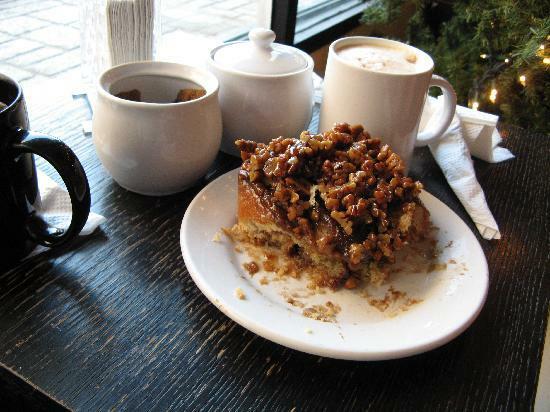 Afterwards, we went to El Coffee Cozumel for pecan pie and coffee..!! Bubba’s lovely girlfriend met us there and we talked so much and laughed so much we kept interrupting each other – it was pretty funny.! And cool.! Around 8:30pm, we made our way back to the ferry terminal because the last one leaves at 9pm. If you miss it, you are stuck on the island until the morning. I bid them both adios because I wasn’t sure when I would make it back to see them. Then I boarded the ferry for the journey back to Playa secretly hoping that the barfing would be down to a minimum.! Luckily, it was pretty peaceful on the nighttime sojourn back. 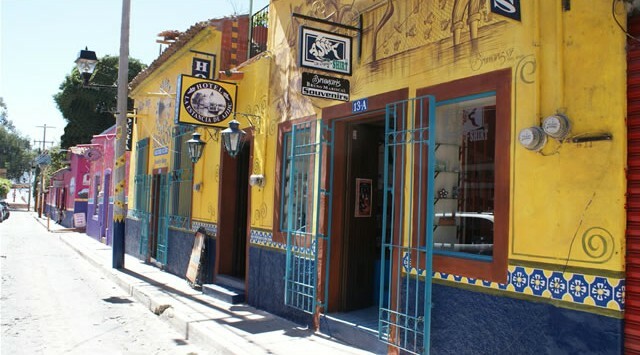 In fact, I was in such a good and peaceful place when I debarked the ferry that I decided to walk down Quinta Avenida to my hotel room rather than grab a cab. It was a lovely way to end my evening. Que milagro tres to follow…. Feliz el fin de semana..!! Happy weekend..!! I hope everyone had a fantastic week.!! Minus the cold weather, my week has been pretty good. I met a whole bunch of new co-workers this week and we were telling jokes almost instantaneously.!! I love when that happens.!! I also spent my day off hanging out with one of my very good friends and her 7 year old daughter.! That’s always a good time. Plus, our grapefruit martinis were delish.!! We both laughed so hard, we peed our pants.! Oops…too much information.! 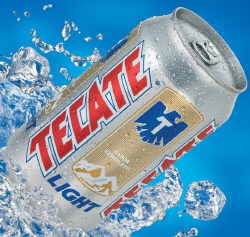 So as I catch you in the middle of your weekend, I bring you another Tecate installment.!! 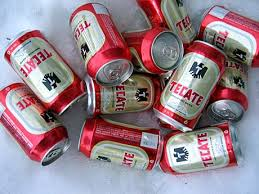 This one is called Tecate – por los que dicen que estan con sus amigos – estan con sus amigos or for those who say they are with their friends – are really with their friends.! hahaha… I guess I never understood women who were afraid to let their husbands/boyfriends go out where there were other women. I mean if you don’t have trust then what do you have..?? A whole lotta of nothing as far as I’m concerned. But in this commerical, our wife/girlfriend does feel jealous and insecure. And her novio finds an interesting way in which to make her feel relaxed about him drinking with his friends.!! Enjoy.!! See you next week.!! Y Salud.!! Once again, I find myself not writing about que milagro dos. I promise it’s coming, but it will have to wait until next week. Between my dislike of the cold and some very strong emotions, I find myself constantly thinking and daydreaming. Today, I went to a memorial service for my friend’s uncle who had passed away earlier in the week. As you can imagine, it was a somber event. It is never easy to lose someone you love. By accident, by design, or by choice. There are always scars – some deeper than others – some more visible – but scars nonetheless. During the sermon, the pastor began to talk about love. And how we as humans do not love enough or our love comes with stipulations or we give our love to those who do not deserve it. And I began to cry. I cried for my friend’s uncle, I cried for those I have lost, and I cried for mi novio whom I said goodbye to in Mexico. Because I said goodbye, not I will see you later. At this stage in our lives, we are in different places, and we are unable to reconcile all of our differences. So unfortunately, we cannot be. I accept that news logically in my brain. I think I even know it in my heart. But I still cried today because I wonder did I do the right thing in the long run. I leave you today with the poem I sent him when I left. And the song I played when I walked out. I hope that I am right that it is better to be alone then to be with a person who does not help you grow and fully become yourself. I hope that my decision will make sense to me one day. Until then…. How do I tell you that I love you? But that we cannot be. How do I tell you that I can’t breathe without you? But I take in one more breath. How do I tell you that you belong to me? But I turn around and set you free. How do I tell you that you are my other half? But I cut the ties that bind us. believe me when I tell you all those truths. But believe me also when I act all those deeds. Maybe one day, the words will mean more than the deeds. But then this week happened. There was a frost advisory on Saturday evening. Frost..?! It’s not even Halloween yet.! Then today, it’s supposed to snow.!! What do you mean it’s supposed to snow..??!! Did I mention, it’s not Halloween yet.?? Frost, snow, cold….these are foreign words to me. No comprendo.!! Yo quiero el sol, la playa, el calor….. I was fine until this week. After all, I was born and raised in Chicago. I have character.!! But apparently, all that cold character has been beaten out of me. My body is craving heat.! All these layers of clothes seem to be suffocating me.!! 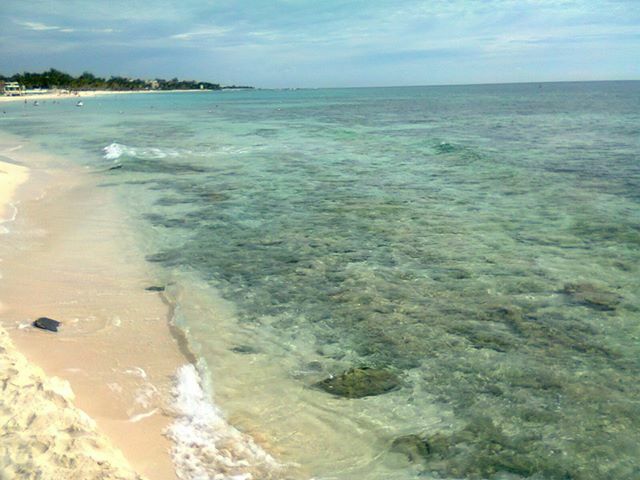 I yearn to rip them off and walk barefoot on the sand with the salty air and the wind whispering across my bare legs – hola querida.! 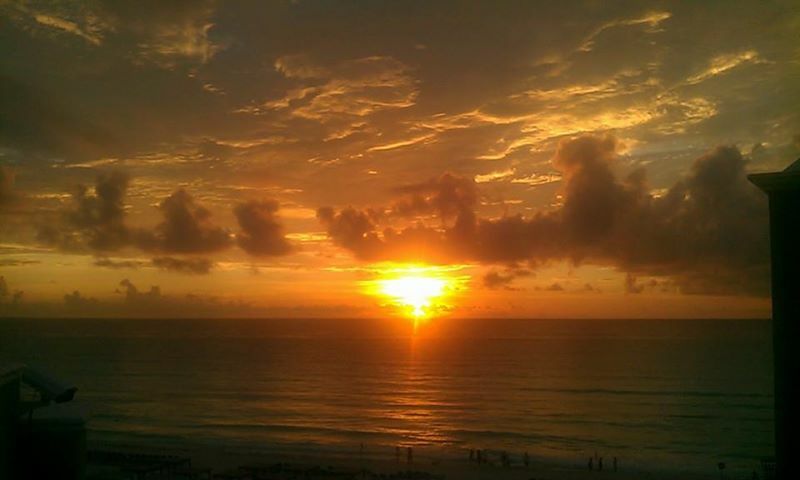 I want the ocean breeze to lazily and sensously tousle my tresses across my face. Not have the biting, freezing Chicago wind whip my head around like in the Exorcist and tie my hair in knots around my face. Hmmmph….. I think the only good attribute about this cold weather is the ability to snuggle… And on that note blog world, stay warm y buenas noches. The weekend is here.!! The weekend is here..!! El fin de semana está aquí.!! Sorry I am a little excited.! I have a three day weekend after working for two whole weeks.!! You gotta love the states for that alone.!! Unfortunately, I spent most of Friday sleeping or running errands. But I did manage to squeeze in a lunch date with a dear friend of mine. So, the day was not a total wash.
To start off this amazing weekend, I bring you the fourth installment of the Tecate Parents series or Tecate Papas Cuarto. Once again, our parents are trying to convince their son to only drink Tecate light beer. They claim the only thing other light beers are good for is watering the plants.!! jajaja.. I hope everyone enjoys their weekend.!! I hope there are no ‘bad’ light beers in your future.!! And don’t forget to look up at the night sky and enjoy the brilliance of the moon in all of her ethereal beauty.!! Salud..!! As I mentioned yesterday, I was very excited to be back in Mexico.! Even if it was only for a short time, it was still totally worth it. I spent some time taking care of important errands which I will touch upon next week. Today’s post is about the friends I saw 🙂 I swear I never tired of hearing people exclaim – “Que milagro. !” – upon seeing me. I relished it even. It was a damn miracle that I had finally returned.!! 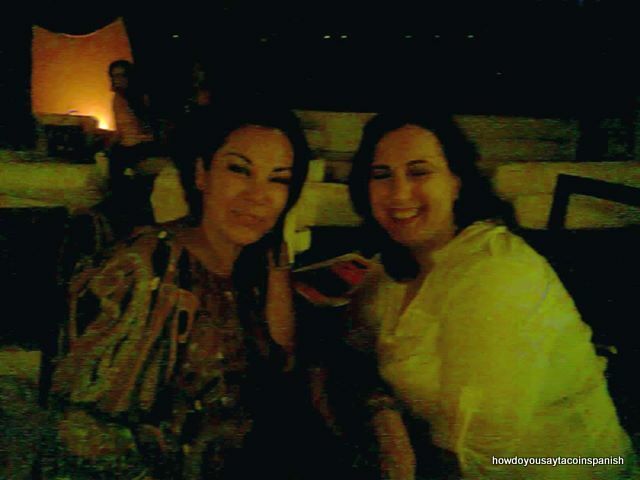 After the free tequila shots and photo op, P. and I found ourselves at Zenzi Beach Bar. It’s one of my favorite places for several reasons – it’s on the beach, it’s a good mix of locals, expats, and tourists. 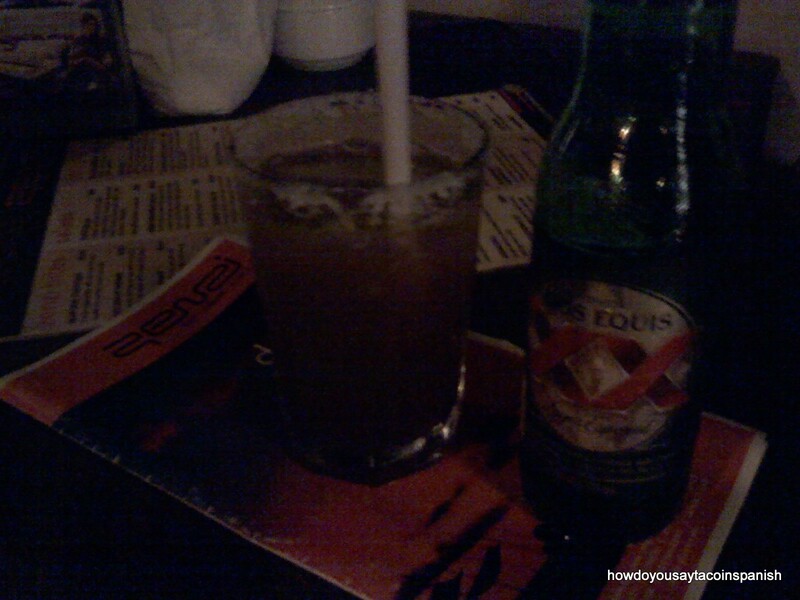 Plus, they have great micheladas.! As you can see from the photo above, that was the first order of business.! And the second…maybe the third too 🙂 P. and I spent a good deal of time catching up and laughing while we dug our toes into the soft, cool sand. I met P. when I worked at my last hotel and we too hit if off exceptionally well right away.!! P. too had gone home to Tampico for awhile. She had just returned to Playa maybe a month before my return visit, so the timing couldn’t have been more perfect. P. is also the one who helped me translate last week’s Tecate Papas commercial. 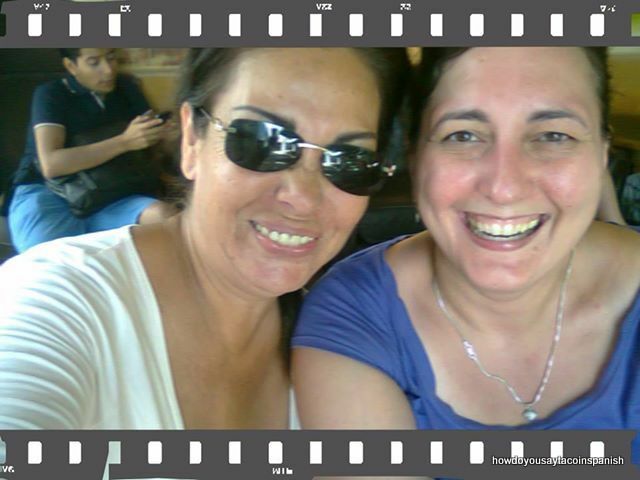 She is an amazing women and a wonderful friend. P. was also very beneficial in assisting me with some of my errands that I had to take care of during my visit. My trip would not have been complete without seeing her.!! Of course my evening was not complete without fish tacos..!! I forgot to take a picture of the salsas – please forgive me. I was so excited to be eating the tacos, I barely got a photo of that.!! As you can tell from the photo above with P., the tequilas and micheladas probably also did not enhance my memory skills.! 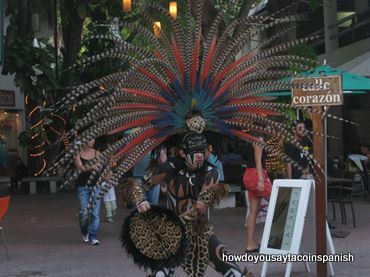 jaja… Next week, I will tell you more about my trip to Playa del Carmen. As well as, discuss one of the main reasons for my return.! See you tomorrow for Tecate time.! !